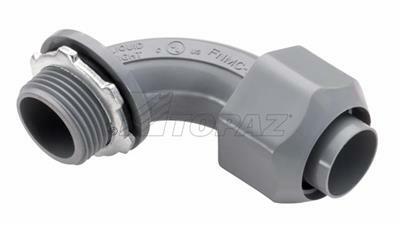 1521 90 degree one piece PVC liquidtight connector 1/2"
Topaz’s liquidtight connectors are the companion to liquidtight conduit, featuring corrosion resistant, flexible PVC construction. Connectors are available in a one piece 90° angle, the recommended design when flexibility is required for installation and operation of an appliance or fixture. 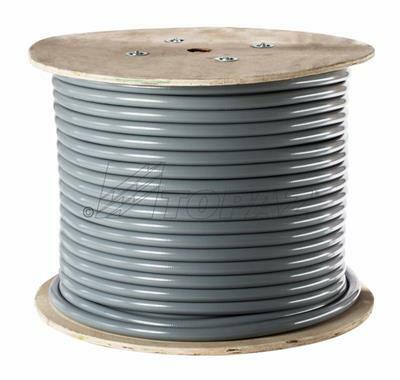 Removable cover facilitates easy wire pulling to optimize efficiency. 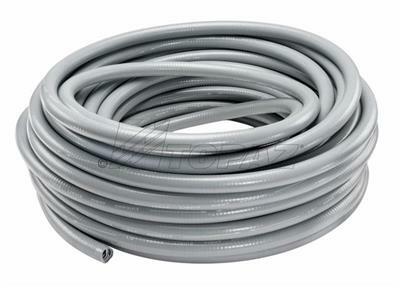 Available in gray in 1/2” to 3/4” sizes; for use in dry locations; always in stock and ready for fast delivery.